R & F Children's World, is the most southern region of large grade children's clothing wholesale market, the construction area of ​​20,000 square meters, the unique three-dimensional architectural design, ground and three basement, nearly 500 shops, large-scale, unprecedented. 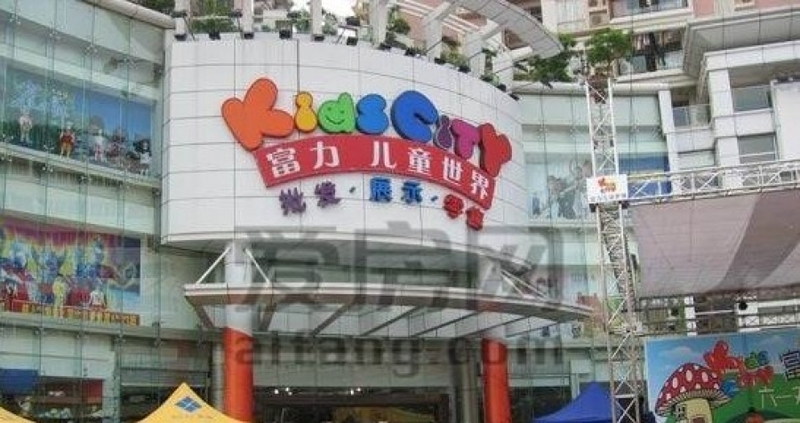 R & F Children's World, by the Guangzhou real estate industry leaders, "R & F Properties' well-built, Zhuozhuo leader in the industry, its sound planning framework, reasonable business layout, cast of South China's flagship children's clothing stores. First floor children's clothing boutiques city, on the second floor children's World, on the third floor Family World, the negative layer of clothing world, all kinds of products that range. Broad plaza outside the mall, is magnificent, all kinds of children's clothing brand is the best place to carry out promotional activities. Quality stylish interior hollow square, creating a comfortable environment for stock purchases, which consists of 10 high-speed escalators and five freight elevators, perfect for the guests to provide convenience. Showcase and each have a wide channel, so the purchase environment unhindered. Fine decoration shops, specialty glass door threshold, details of the office were superb, always showing and advance planning of human consciousness. Advanced intelligent management operations, such as the construction industry websites, security monitoring systems, high definition display, stalls reserved for broadband interface, which embodies the distinctive world of R & F value of children. On the current children's clothing industry, the country's many types of children's clothing professional market, but high grade, large-scale, far-reaching influence, but very few, R & F children of the world, turned out to change the existing market structure. In the optimization of R & F Properties Management, the future of R & F Children's World, will become the most representative of the South China market, professional children's clothing! Looking ahead, vigorous R & F Children's World, South China is leading the development of children's wear market, children's clothing brand entered the era from the professional market.